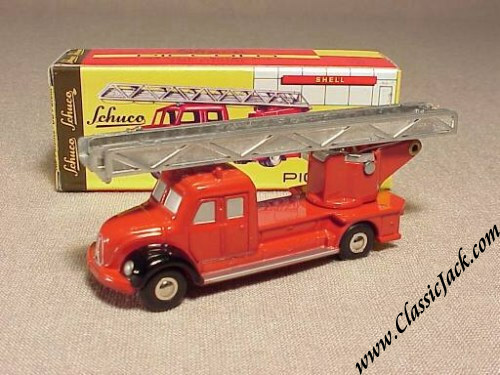 Schuco Piccolo Magirus Deutz Ladder Truck with Black Fenders. Issued in March 2000, this version succeeds the plain red one which sold out at the factory. Schuco produced a total of 4,000 pcs. Schuco Piccolo Magirus Deutz Ladder Truck, 150 Jahre Berliner Feuerwehr. 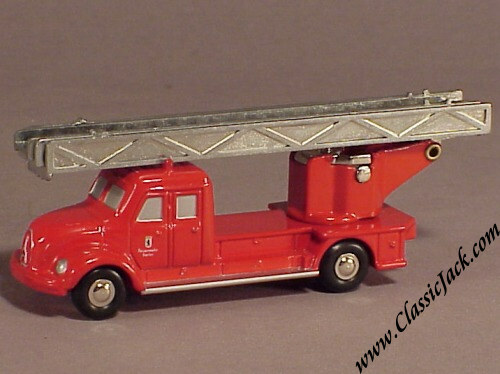 Issued in July 2001, this was the second elaboration of the Magirus Deutz Laddertruck. It was issued to commemorate 150 years Berlin Fire Brigade and was part of a whole series of models issued at that occasion. It carries the logo of the Berlin Fire Brigade on the doors. The over-box carries an extra decal on the front window to indicate the event for which this model was issued. It was a Limited Edition of a mere 1,500 pcs. 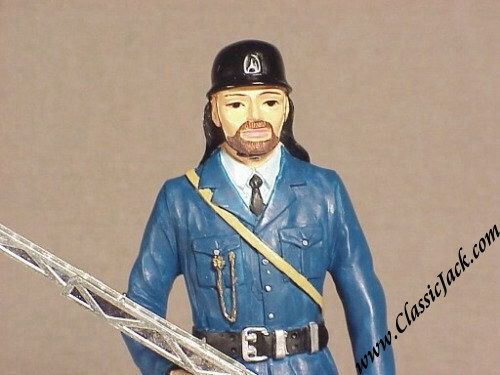 destined for the specialist toy trade only. 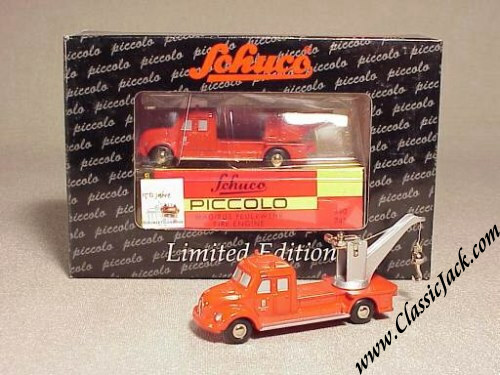 Schuco Piccolo Magirus Tow Truck, 150 Jahre Berliner Feuerwehr. Issued in July 2001, this was the first elaboration of the Magirus Deutz Tow Truck. It was issued to commemorate 150 years Berlin Fire Brigade and was part of a whole series of models issued at that occasion. It carries the logo of the Berlin Fire Brigade on the doors. 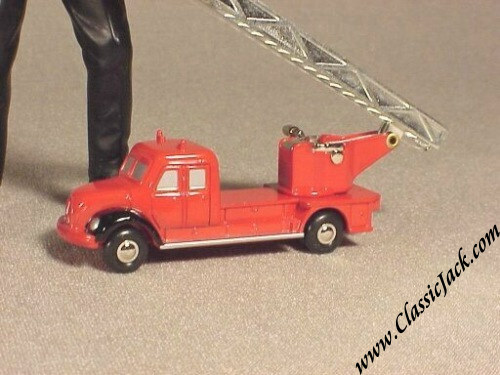 The truck has a functional crane with hand-crank. 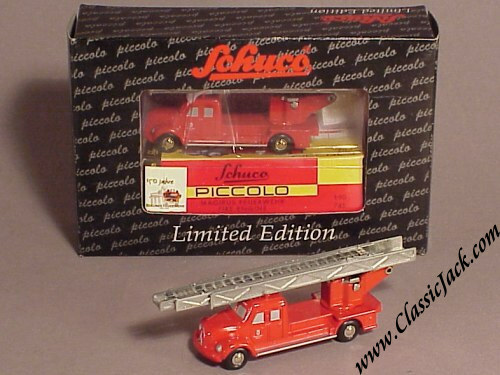 Schuco Piccolo Firefighter Figurine with Magirus Deutz Ladder Truck. 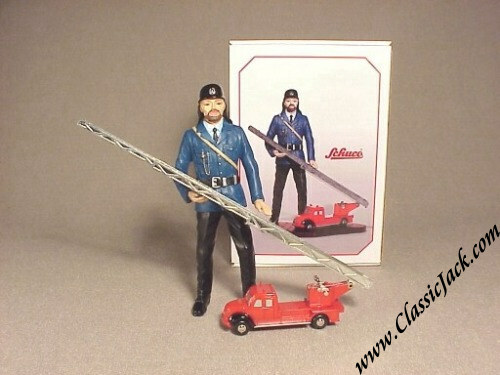 Issued in July 2001, this is the 2001 Figurine Set. It contains a firefighter of ca. 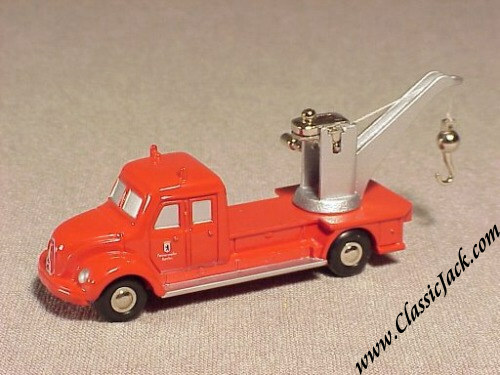 4 inches (10cm) high and a Magirus Deutz Ladder Truck. It is a limited edition of 3,000 pcs destined for the specialist trade only.